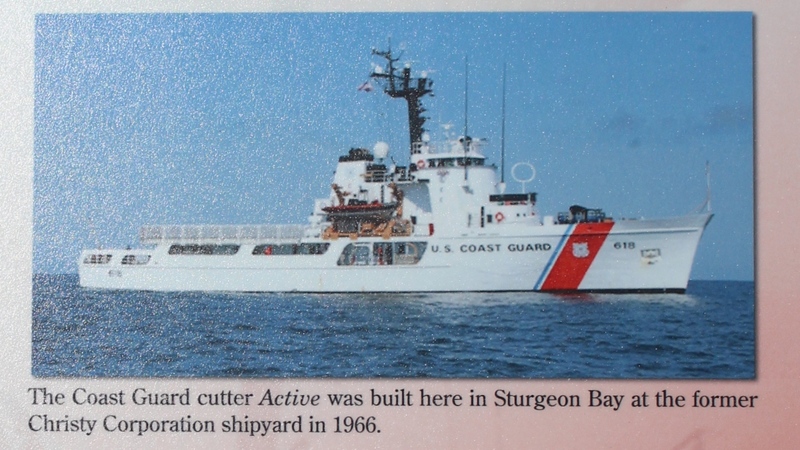 Revenue Marine and Coast Guard vessels, known as "cutters," have been frequent visitors to the port of Sturgeon Bay for decades. The Door Peninsula's many lighthouses also made Sturgeon Bay a frequent port-of-call for U.S. Lighthouse Service tenders (the Lighthouse Service merged with the Coast Guard in 1939). Starting with the cutter Sundew in 1953, Sturgeon Bay has been the proud homeport of five different U.S. Coast Guard cutters. Sundew was followed by cutters Hollyhock, Mesquite, Acacia, and Mobile Bay. With its many shipyards, nearly every cutter to ever serve on the Great Lakes has called Sturgeon Bay their temporary home from time to time during visits for repair and maintenance. Cutters Sundew, Mesquite and Acacia are all members of the legendary 180-foot seagoing buoy tender family. Thirty-nine of these tough, capable vessels were constructed in Duluth, Minnesota between 1942 and 1944. In addition to their powerful cargo booms these sturdy, versatile seagoing workhorses were constructed with reinforced icebreaking hulls. All were named after trees or shrubs. "I reported aboard the cutter Mesquite as a young Petty Officer Third Class in the fall of 1972 after previous assignments in Buffalo and New York City. 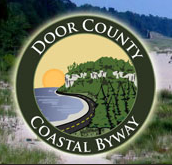 Within just a few days of my arrival in Sturgeon Bay, I knew I was "home". The local residents were friendly and welcoming and despite the relatively small size of the place, there was much fund to be found when liberty was piped out. Numerous cutters from other ports around the Great Lakes would bake the sojourn to Sturgeon Bay for shipyard availabilities at Bay Shipbuilding or Peterson Builders Inc. Our Commanding Officer would routinely call on the visiting ship to extend a welcome and set up some sort of social event -- typically a picnic with a softball or touch football game between the crews. 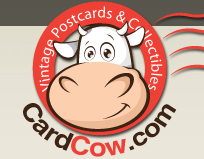 I remember these gatherings fondly and recall the many envious comments from visiting cuttermen on lucky we were to have Sturgeon Bay as our homeport." Although Sturgeon Bay was never her homeport, the famous U.S. Revenue Cutter Tuscarora made numerous port calls to the city during the early 1900's. Among other exploits, the Tuscarora made history with her pursuit and capture of the infamous scallywag "Roarin' Dan Seavey" in 1908. Captain Seavey is the only person known to have been formally charged with piracy on the Great Lakes. Cutter Hollyhock began life in 1937 as a U.S. Lighthouse Service tender based out of Milwaukee. Hollyhock made frequent visits to Sturgeon Bay before calling the port home from 1958 to 1959. She donned her Coast Guard colors when the Lighthouse Service merged with the Coast Guard in 1939. 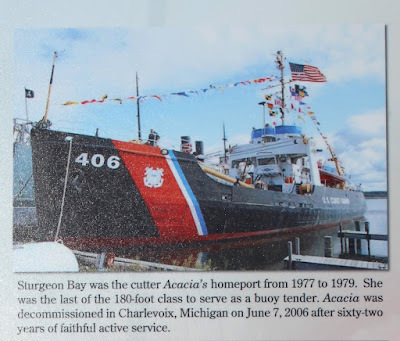 Sturgeon Bay was the cutter Acacia's homeport from 1977 to 1979. She was the last of the 180-foot class to serve as a buoy tender. 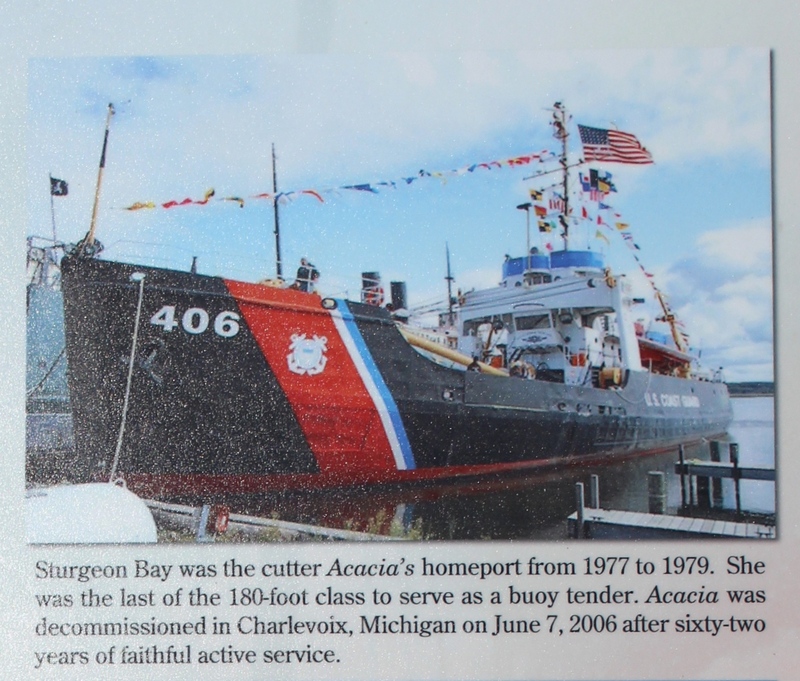 Acacia was decommissioned in Charlevoix, Michigan on June 7, 2006, after sixty-two years of faithful active service. The Coast Guard cutter Active was built here in Sturgeon Bay at the former Christy Corporation shipyard in 1966. The cutter Mobile Bay is the latest cutter to call Sturgeon Bay home. 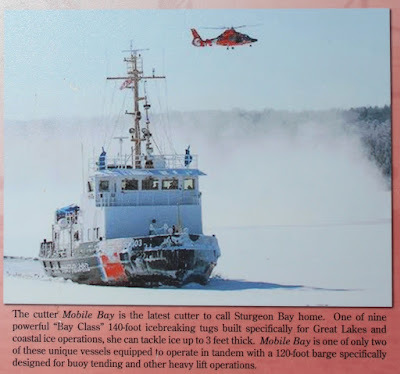 One of nine powerful "Bay Class" 140-foot icebreaking tugs built specifically for Great Lakes and coastal ice operations, she can tackle ice up to 3 feet thick. Mobile Bay is one of only two of these unique vessels equipped to operate in tandem with a 120-foot barge specifically designed for buoy tending and other heavy lift operations. Easy to locate this marker! the marker is visible in the distance, to the right of center.